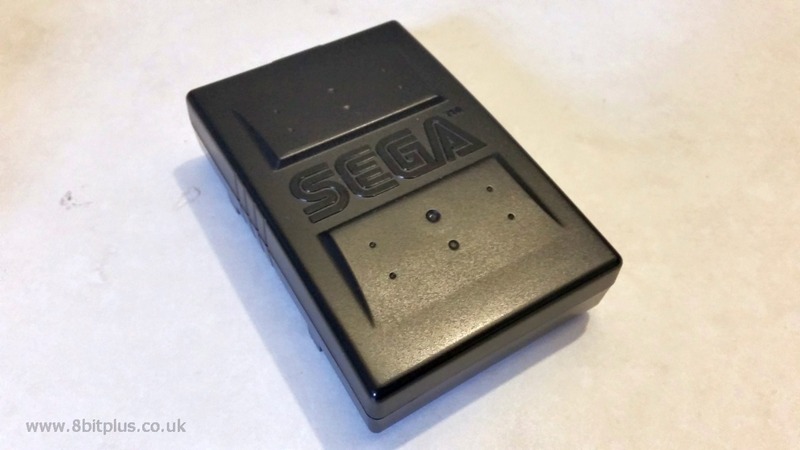 Photos and information on how I converted a Sony camcorder battery and charger to work on the Sega Nomad. So now my nomad had a better quality LCD screen installed, see my screen upgrade project, it was time to tackle the battery problem. Even with the new screen the Nomad power requirements are almost unchanged, and the concept of having a portable console restricted to a wall cable is not good. 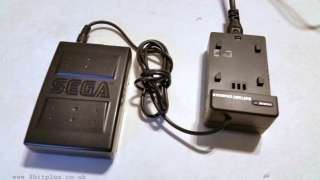 Sega originally provided a battery pack with the Nomad that held 6x AA batteries. 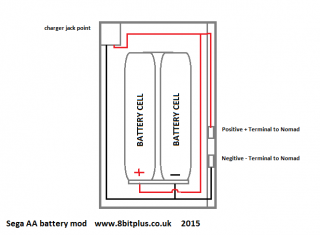 The type of battery used would affect the operation time greatly. 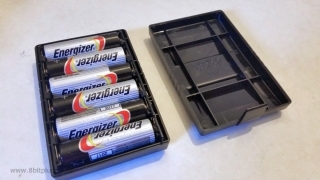 Back in 1995/96 a pack of brand new Energizer batteries would probably get you around 3+ hours of game play, where as the rechargeable batteries of the day would get considerably less and may even cause the Nomad to reset as the voltage drops off. Sega also released a rechargeable battery pack (MK-6102). This was listed (in the manual) to provide 3 hours play from its 1600mAH cell, and would need about 12 hours to recharge if completely empty. The manual also stated a charge cycle life of about 200 times. 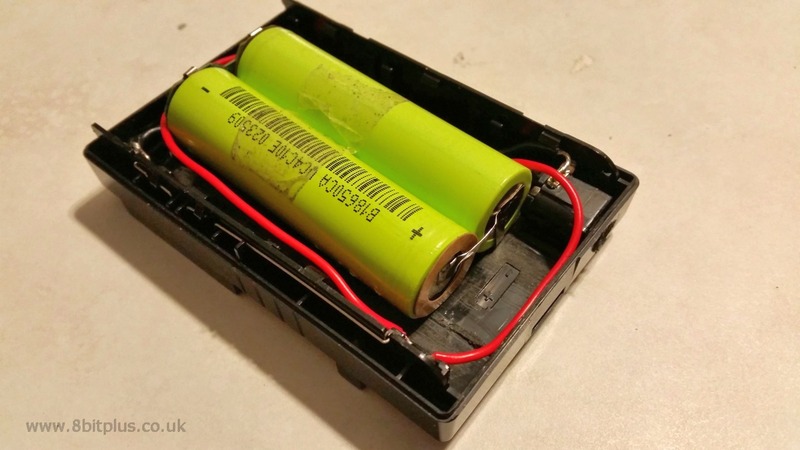 Modern batteries are a lot better, both standard and rechargeable types, but there’s an even better method of extending the battery life considerably. The answer it to use a rechargeable Li-ion battery pack from a camcorder. All that’s needed is the correct Voltage level of 7.4v. 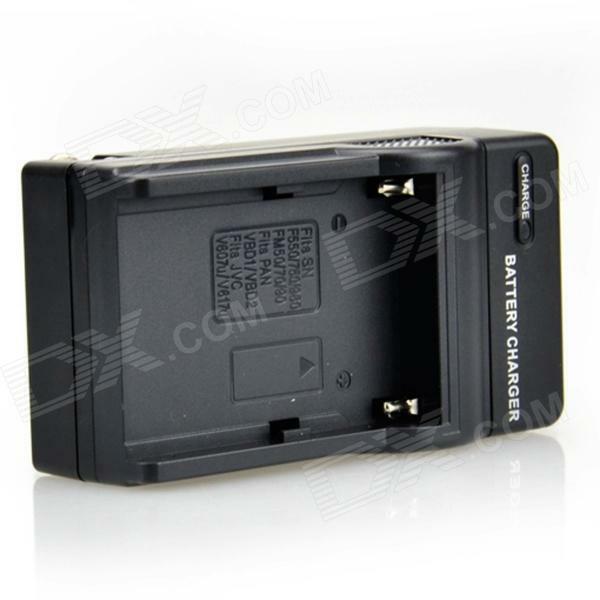 The battery that I recommend is a Sony NP-F550. Its widely available from eBay, Amazon and DX.com and is very cheap even when purchased with a charger. I found mine for £12. They seem to be available in 2500 mAH and 2900 mAH, both are fine but I went for the larger one. After it arrived I charged it up and checked it was powering the Nomad correctly. I just wired the battery to the terminals on the back of the console. As you can see it worked perfectly. 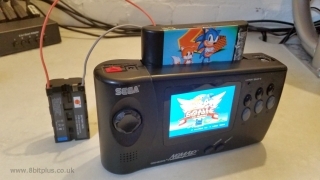 The first thing to do is make a larger battery fit in the Sega AA battery pack. The new battery is quite a but thicker than the AA holder can take. 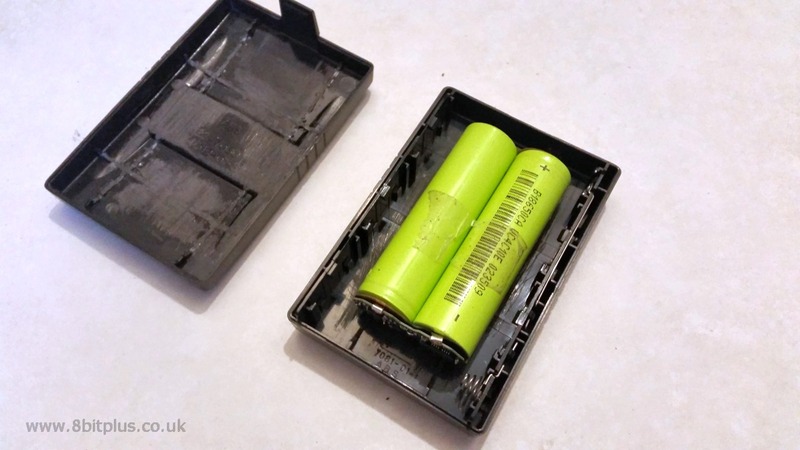 The only answer to this is to remove the Li-ion battery plastic case, and remove all excess plastic parts in the AA holder and lid. I also removed all the AA contact springs except the ones that go to the Nomad connection points. It goes without saying you need to be very careful when taking a battery pack apart. The power contacts needed desoldering to remove. When the battery casing was removed I had plenty of room inside. Next I wired up the contacts of the Li-ion battery PCB to the AA terminals. To be able to recharge the battery, I installed a power connector socket. which also links to the battery terminals. Finally I coated all the solder points with hot glue, and glued the battery cells to the case. the charger was very easy to modify. All I did was open the case, and wire a cable to the PCB in place of the contact pins. One of my starting aims was to keep my Nomad system looking original, I think I’ve succeeded. At first I wasn’t sure about converting the battery pack from AA to Li-ion but at least I could use the new pack on both of my Nomad’s this way. The battery life seems to be very good, somewhere in the 6 hour range. Well worth the time doing this modification even for a stock Nomad. Any question or comment please leave them below. Anyone ever run into their battery not charging fully? I think mine has that issue, either the charger or maybe the batteries are no good. It charges for about 1 hour and the green light comes on. I get only 1 hour of play time out of that charge, should I get a new charger? I was thinking of getting new batteries also. 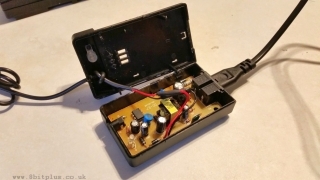 Hi, I would like to do the same mod, but I am wondering how to connect the power connector socket? There are 3 pins and from the photos, I notice you’ve connected the negative to the larger one on top, how about the positive? Thanks. I guess you have 3 pins on the underside of the power socket? You should use a multi-meter to find out which pins are positive and negative when connected to the 12v charger power supply. How did you open the charger without damaging it? Or should I say, How did you open the charger? Thanks for help me with evrything and if you did more modded on your nomad please share with us. Thanks for help me but i alredy done it. My last question…did you found any way to recharge the bateries more faster? Here they toke a lote of time to complet recharge aprox. 5 hours. 5 Hours sounds about right. Sorry i want say hole note holder. Power pack wiring is very simple. 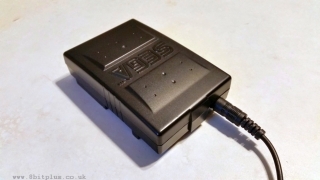 Pos+ and Neg- from the charging point go to the Pos+ and Neg- terminals of the battery cells AND to the connection pins of the pack. I’ll do a diagram and upload. 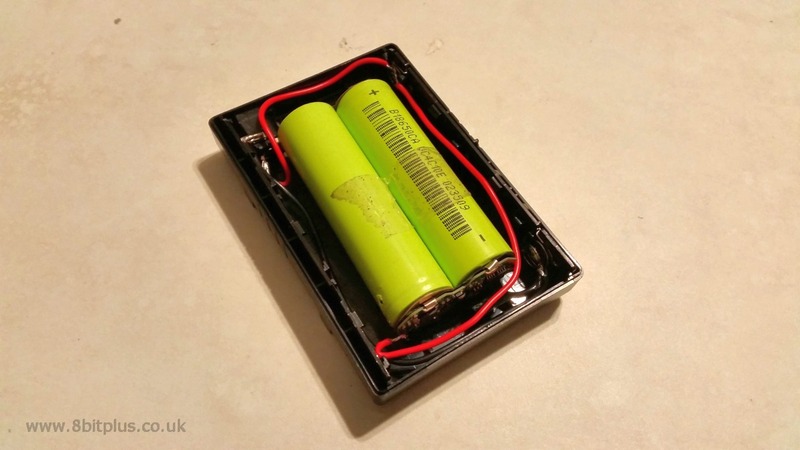 What you used to make a holder on battery pack? 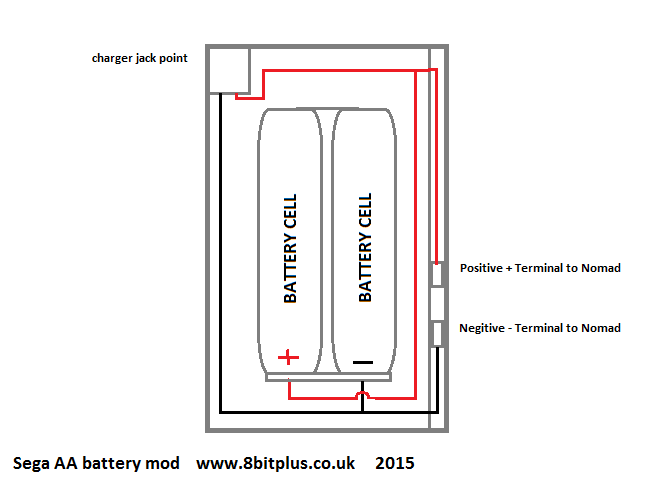 Have any problem if i take off the power socket from recharger battery? I can unsolder the points and take it off but i’m affraid. Also i need know how you conect the red and black wires in power socket. Could you take more pictures from inside nomad battery pack already modded? Its very hard to see how you soldering the points. Also i don’t understand how you conect the cable that comes out from nomad battery power jack thats you do and goes to chager. I open the charger but i cant see what i need do. Pela se take more pictures for help me. Great joob man. I tryed find a new screen for my nomad for several years but insucefull, now i bought that one you sugest on dealextreme. My question about battery is: i have the battery pack that use 6 AA bat but i don’t understood if you use this battery pak or the rechargeable battery pack original for nomad. Could you answer me? Hi. Yes I did use the AA battery pack for my mod because it was the only one I had. 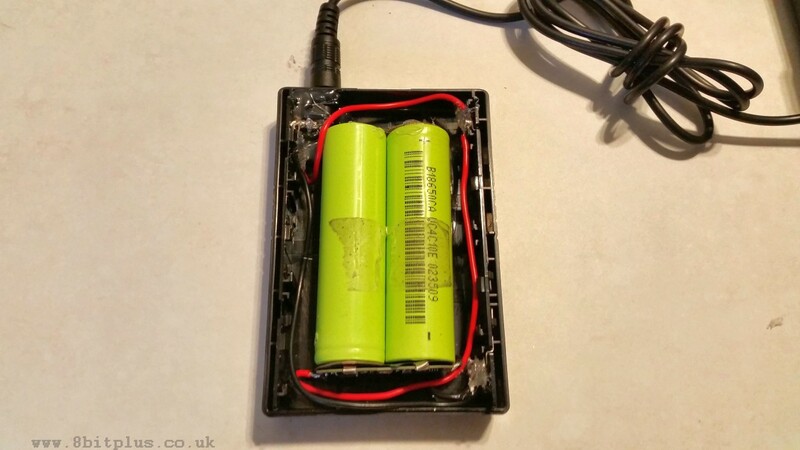 The rechargeable pack is easier to mod as you don’t need to de-case the new Li-ion battery. How you make a power connector socket? 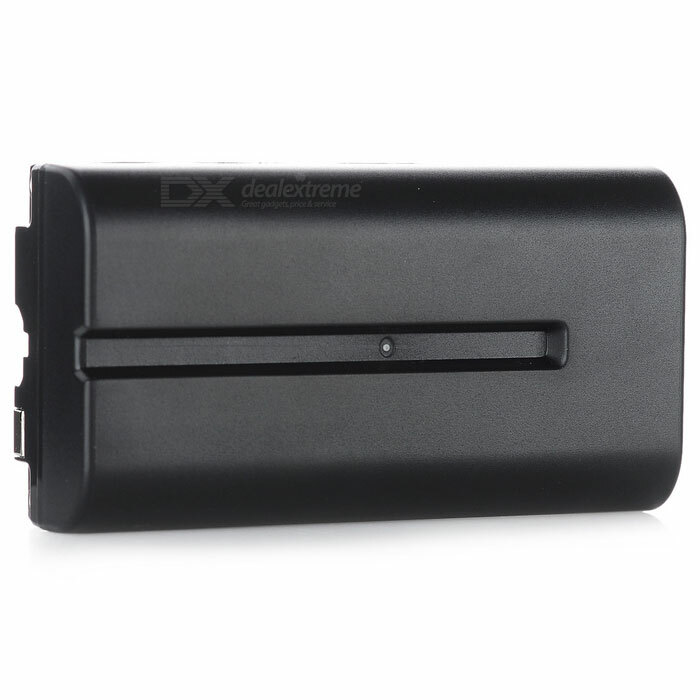 I’m already bought the screen that you recomend and battery from dealextreme. Just need wait arrived. Thanks for help me. What you think about this screen? I didn’t make the power socket. It was left over from something else, think it might have been a Megadrive power socket. That screen is no good. 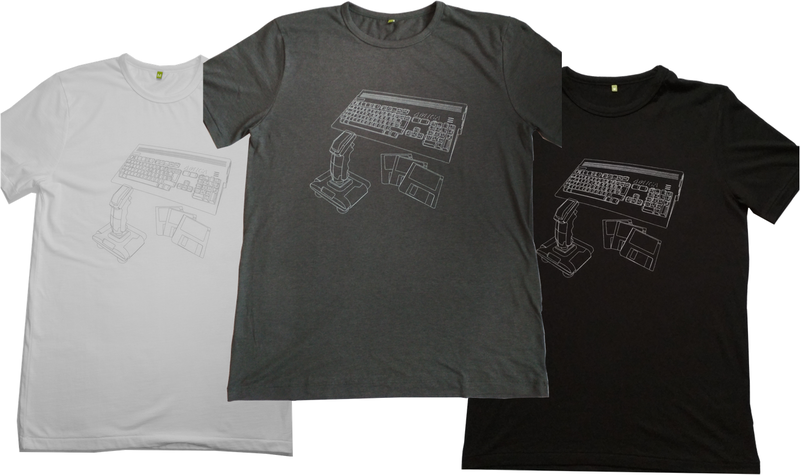 Its RGB only. I don’t understand about how I can make a power soket. So thanks for everything. Unsolder a power socket from another device. They 3000mah each lithium ion 3.7 volt each for a grand total of 7.4 volt when using two. I have never used these but The voltage matches 3.7*2=7.4 so IF they fit they could in theory give double this mods life.Ny one know how well this would work? Hi Brian. You could give it a try. I’m not sure that the capacity scales with the voltage… but let me know how it goes. Thanks for the response .I’m not comfortable trying a battery mod at all yet. The main reason I asked about these batteries is the inside of the pack in your mod appears to have 2 power cells connected to each other I figured odds are they are even with one an other thus7.4v/2=3.7v witch is why i checked for 3.z volt batteries. It would be odd to me if one of the 2 batteries/cells was of a higher capacity or voltage than the other one. Do you have any suggested alternatives that do NOT involve prying or cutting into cases containing batteries? That is why I looked for 3.7v batteries loose to help avoid potential screw ups on my part. The fact the available separate batteries have a higher MAH was just icing on the cake IF it would work. Working out how to charge conveniently might be a bit tricky, but I don’t see any reason why not. 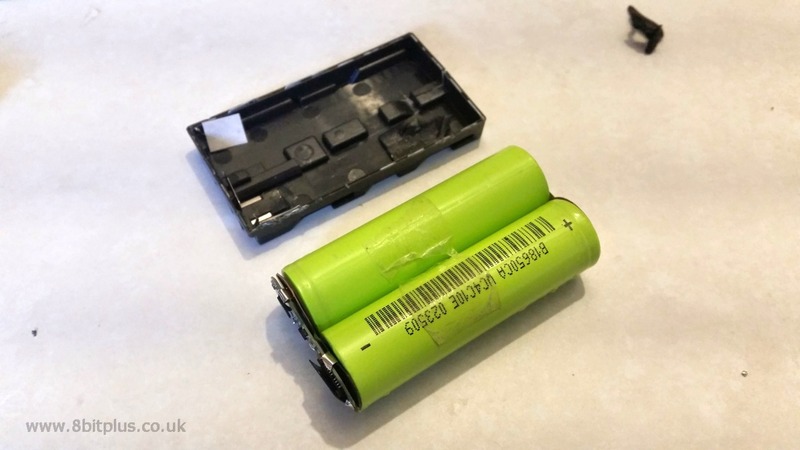 If you don’t want to crack open the camcorder battery then try a smaller one then I used. Mine was the 2900mah pack, but the 2500 is smaller and does not need de-casing.